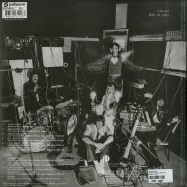 reissue of the last studio album before their break up in the late 70s. 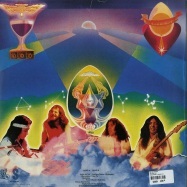 a progressive rock record by the legendary brazilian band, led at the time by original member sérgio dias plus keyboardist túlio mourao, bassist antonio pedro de medeiros and drummer rui motta. presented in facsimile gatefold sleeve and pressed on 180g vinyl. 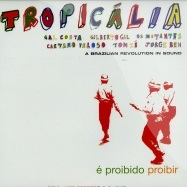 a landmark album from late 60s brazil! this is the first – and the wildest – album by this legendary group that was one of the founding forces of the tropicalia movement – a brilliant musical statement that easily ranks with some of the most groundbreaking late 60s american work by the velvet underground, captain beefheart, or the stooges! the music is a wonderful blend of 60s rock and early mpb – hard-driving with plenty of guitars, but also produced with beautifully baroque touches that echo through simultaneous albums by caetano veloso and gal costa – both of whose 1969 albums are strongly resonant with this one. in fact, caetano contributed a number of tracks to the album, including -panis et circenses-, -bat macumba-, -trem fantastma-, and his great -baby-, which is done fantastically here. great stuff all ’round! 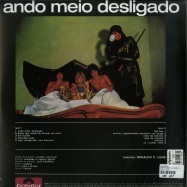 180g brazilian polysom re-issue of the polydor original. 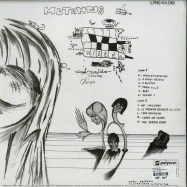 the second set of madness from the legendary os mutantes – and like the first, an album done in close collaboration with arranger/producer rogerio duprat, whose talents add a new level of genius to the record! the album’s got a compelling mix of styles that strikes out on the very first tune – a playful pastiche that’s partly postmodern, partly psychedelic, and still tremendously powerful decades later – even if you can’t understand most of the lyrics! styles are just about impossible to pin down, but that’s what makes the record so unique and essential – and if you ever needed one album to convince you of the mindblowing energy taking place during the tropicalia years, this one may well be it! a few tracks are written by tom ze, and titles include -dom quixote-, -dia 36-, -magica-, -rita lee-, -algo mais-, -qualquer bobagem-, and -fuga no ii-. 180 gram brazilian polysom re-issue of the polydor original. the third album from the legendary os mutantes – part of the essential trio of sides released during the tropicalia years! the record’s got a sound that’s tighter and a bit more straightforward than their previous efforts – stricter song formats, and styles that lean heavily on rockish guitars and organ. but as the odd cover images on the front and back will attest, the band is still in a very creatively arty mode here – still working strongly with arranger rogerio duprat, in a wash of sounds and moods that fold contemporary music back upon itself with plenty of odd twists, turns, and surprises! titles include -desculpe babe-, -oh mulher infiel-, -quem tem medo de brincar de amor-, -hey boy-, -haleluia-, -ave, lucifer-, and -meu refrigerador nao funciona-. 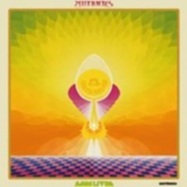 quite possibly the last truly sublime album ever recorded by os mutantes – a set that’s a bit more rock-oriented then their first few, but still pretty revolutionary overall! the group have expanded to a quintet at this point, but haven’t yet falling into the guitar-heavy groove of later years – and rogerio duprat is working with the group on arrangements, although mutantes member arnaldo baptista is handling production chores himself. odd styles still slide into the mix as the tunes roll on – creating that great sense of surprise that makes their best work so great, and keeping things fresh even when a bit more straight ahead! titles include a reprise of -baby-, one of the group’s early classics – plus -portugal de navio-, -virginia-, -tecnicolor-, -el justicero-, -lady, lady-, -sarava-, -it’s very nice pra xuxu-, and -top top-. a legendary album! 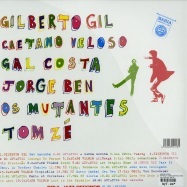 this previously unreleased album by os mutantes was supposed to be their breakthrough album to an english speaking market – but for years it’s only been talked about in hushed whispers, and has only been heard by a lucky few! 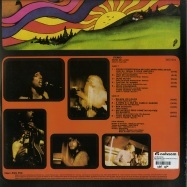 the record was recorded in paris in 1970 – and it’s all in english! (not that we’re biased against portuguese, mind you – but since we’re english speakers, it’s kind of a nice thing to have a record that we can understand!) the record features a number of tunes from the mutantes first two albums – redone here with translated lyrics, and in a compressed pop style that’s a bit smoother than the original albums, but still very nice! in fact, the record’s a sophisticated pop statement that would have stood well in the company of many of the best of 1970s rock elite – had the boneheads at philips actually decided to release the record! no use crying over spilled milk, though – because the album’s out now, and it’s filled with loads of nice tracks like -panis et circensis-, -batmacumba-, -tecnicolor-, -el justiciero-, -i’m sorry baby-, -saravah-, and a sublime reading of -baby-, a track that was virtually the manifesto for tropicalia! 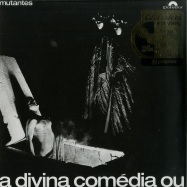 one of the hardest rocking albums ever cut by os mutantes – a record that’s got a slightly ironic take on rock and roll styles of the time – still performed with the sense of drama and humor that always made the band so great! rita lee and arnaldo baptista are still in the group at this point, and they’re working amidst a heavy wave of guitars that echo out with a bit of keyboards and some rhythms that are chunky enough to almost be called funky at times, but sweet and dreamy at others – all produced with a flanged-out finish that makes the whole thing sound great! an essential collection of rare material from this legendary brazilian group – and a set that shows the importance they had in the tropicalia movement beyond their own famous albums! the package brings together key collaborations between os mutanes and other key figures in music at the time – including some from rare singles, or other albums that maybe haven’t shown up on your radar if you’ve only been tracking the group by records issued under their own name. as a whole, the set’s a much-needed addition to their too-small catalog from these essential years – and titles include work with caetano veloso on -saudosismo-, -marcianita-, -a voz do morto-, and -baby- – plus -lady madonna- and -cinderella rockafella- done with clelia simone and kier – both live and 7” single versions of -ando meio desligado-, work with gilberto gil on -domingo no parque-, work with rogerio duprat on -cancao para ingles ver chiquita bacana- and -the rain the park & other things- – and the track -mande um abraco pra velha-, from a rare brazilian 60s compilation. 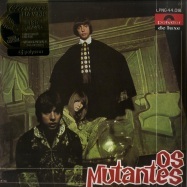 vinyl reissue of os mutantes live album from 1976, their last recording until the 2006 reunion. 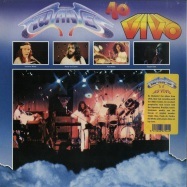 an excellent progressive rock record with the legendary brazilian bands trademark quality and the line-up oforiginal member sergio dias, paulo de castro, rui motta and luciano alves on top form.presented in facsimile artwork and pressed on 180g vinyl.